Today I’m doing a review about the Newport Vessels trolling motor. The Newport Vessels 55-pound thrust electric 8-speed trolling motor beats out the competition hands down in many areas. First, let’s talk price. 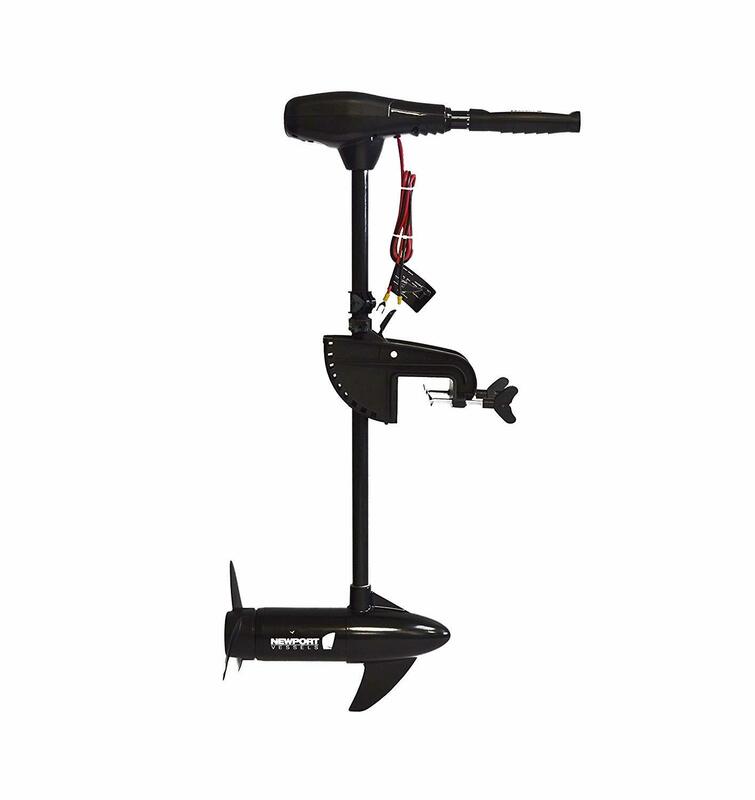 Compared to Minn Kota 55-pound electric trolling motor at $349 you can get the Newport Vessels for only $199. Now that’s a big difference, and the Newport trolling motor is a much better motor. Another comparison is that the Newport is safe to run in saltwater unlike the Minn Kota Traxxis and the Motorguide R3 were these are not built for saltwater applications. All Trolling Motors Are Not The Same! Another difference is in the battery meters. The Newport Vessels trolling motor has a five-point LED meter built right into the motor head which gives it very accurate readings. The Minn Kota Traxxis only has a push to test button, and the Motorguide R3 doesn’t have a battery meter at all. I wouldn’t want to be out on the water and not know how well the batteries are working in my trolling motor. Also, the shaft on the Newport Vessels trolling motor is made out of fiberglass composite which makes for a strong and protected shaft while the Minn Kota and Motorguide’s are made out of some other composite. 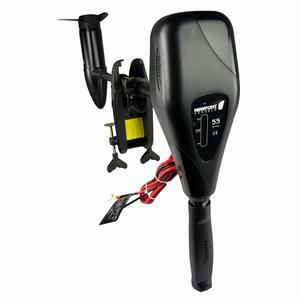 This is a powerful trolling motor with it’s three 10″ propeller blades, 55lbs of thrust and quiet to boot. It’s also cool and efficient so you can fish all day and not overheat or scare the fish away. The 30″ fiberglass composite adjustable shaft is of high strength, and you can properly place to the depth you need in any water conditions. The handle extends six inches so you can adjust it for better hand and wrist function. It comes in five forward speeds and three reverse speeds. All these different speeds make for a smooth ride that’s easy to control. The five-point LED battery meter that gives you fast readings of your 12V deep cycle or marine battery (battery not included). It’s safe to use in saltwater with its stainless steel, zinc, and magnesium hardware. The propeller blades are fiberglass reinforced nylon. Newport Vessels stand behind their products with a 2-year limited warranty. 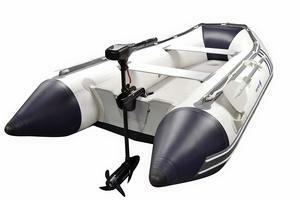 The Newport Vessels trolling motor can be used on a number of boats including inflatable boats, fishing boats, aluminum boats, kayaks, dinghies, tenders and inflatables with transom. This is a tremendous little trolling motor if your planning on doing some fishing on smaller boats like the ones I mentioned above. They can be no longer than 16 feet. You could troll just about anywhere with this motor. You will have to purchase a 12v deep cycle or marine battery and charger. The battery will need to have a 50 Amp hour rating on it. The motor comes with a circuit breaker that you need to connect to the battery. The circuit breaker will protect the motor from electrical damage and keep it from overheating. I learned that the head could be turned around for bow mounting, but you will want to contact Newport Vessels for safe instructions on how to do that. The motor will run for about an hour on speed five continuously and on speed 3 for three hours continuously. That’s with a 50Ah battery at a minimum. The motor also comes with 4-foot 10AWG cables. The price is right at only $199, and the quality is unmatched by its competitors. The other brands Minn Kota and Motorguide the prices are almost double, and the quality is not there. 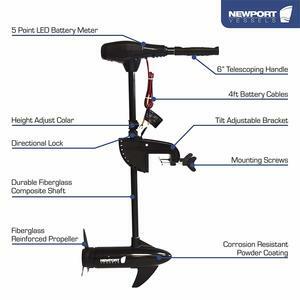 I recommend the Newport Vessels trolling motor series NV 55lb thrust electric eight-speed because of its quality craftsmanship and durability at an affordable price. This motor will last a long time in freshwater or saltwater. And with its 2-year limited warranty, you can’t go wrong purchasing this trolling motor. Thanks for reading. If you have any questions or comments feel free to leave them below and I will be happy to answer any questions you might have. You can also contact me direct cory@tackleboxtalk.com. Previous Post Penn Battle II Spinning Fishing Reel – Don’t Leave Port Without It! Next Post Fly Fishing Bream – Where and When To Catch Bream? My uncle has a boat and he’s looking for a motor. I’ll have to tell him about this motor – the newport vessels – it’s fast, quiet and efficient – things that are great for fishing. I was wondering how much weigh this motor can handle? and about how much torque please? thank you. This motor has 55lbs of thrust. Not sure how much torque but the Newport Vessels Trolling Motor has plenty of power to pull a small boat full of fishing gear and one or two people. This is a great motor I have one that I use for my small aluminum boat when I go fishing. You are correct when you said it’s nice to have a LED Battery Meter that is important when you are out fishing all day. I fish in the saltwater and have never had a problem. Great information I would highly recommend the Newport Vessel Motor.